Imagine what a computer keyboard should be: well-built with familiar and comfortable typing. Now imagine that same computer keyboard working with your phone and tablet too. 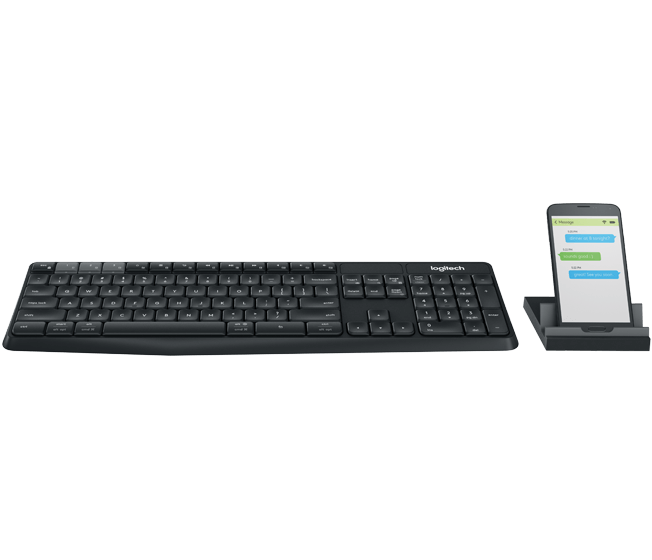 That’s the thinking and design behind the K375s Multi-Device, a full-size keyboard and stand combo for all the screens you use at your desk. 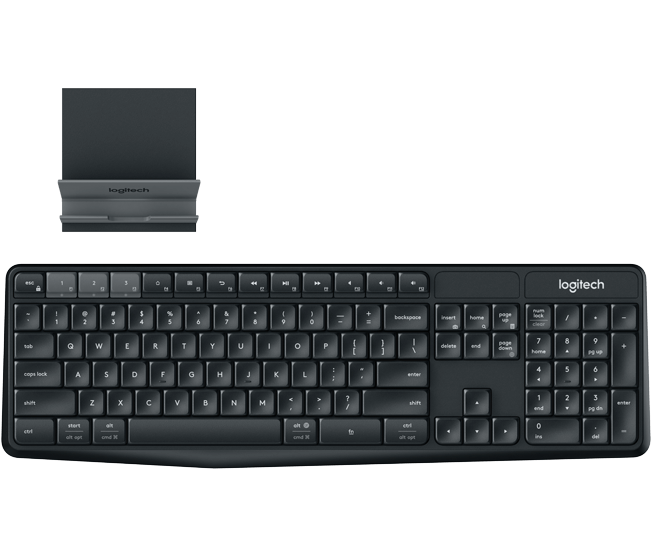 A full-sized keyboard with concave keys in a familiar layout provides hours of typing comfort. A 10-key number pad helps you get more done, and tilt-legs provide a choice of two different typing angles. 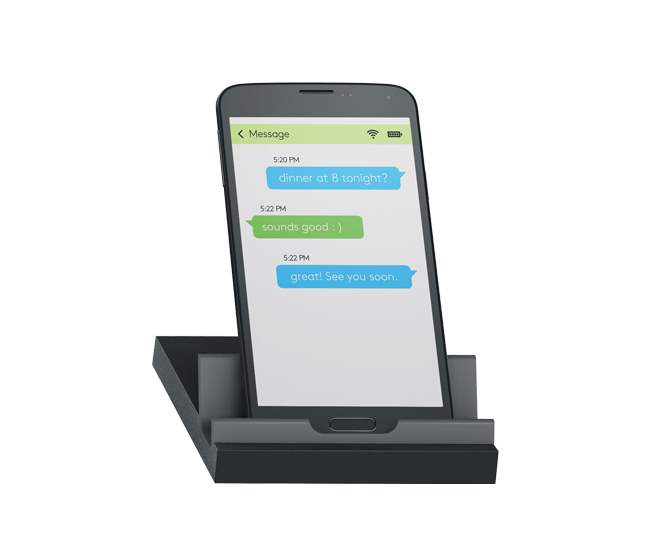 The K375s Multi-Device is spill resistant3a and durable. A 24-month battery life3b plus auto-sleep and on/off switch offers long-lasting convenience. Most phones and tablets up to 10.5 mm thick. a) Tested under limited conditions (maximum of 60 ml liquid spillage). Do not immerse keyboard in liquid. b) Keyboard battery life calculation based on an estimated two million keystrokes/year in an office environment. User experience may vary. Wireless range may vary due to environmental and computing conditions. Wireless encryption is between keyboard and the connected computer or mobile device.